I'd like to create a stickied thread with as many links to painting and modeling inspirations I can find for the Space Dwarfs. Single photos, full painting blogs, finished works, works in progress, in battle shots; all are welcome. Remember that arguing of the rules on these forums is only half the fun - the other half is the actual painting and collecting of the hobby. 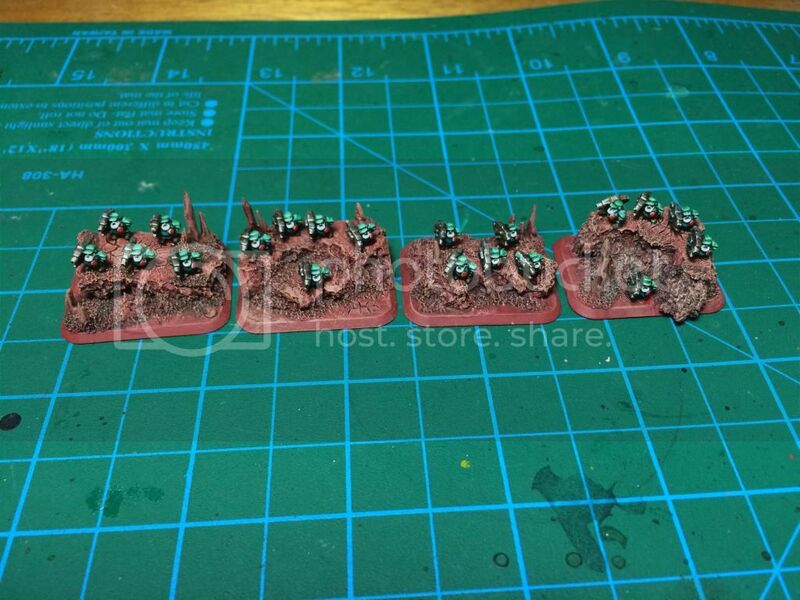 Having a great selection of painted models will only inspire more players to grow and contribute to their armies! If you find photos that are not your own, please attempt to give proper reference to the best of your ability. 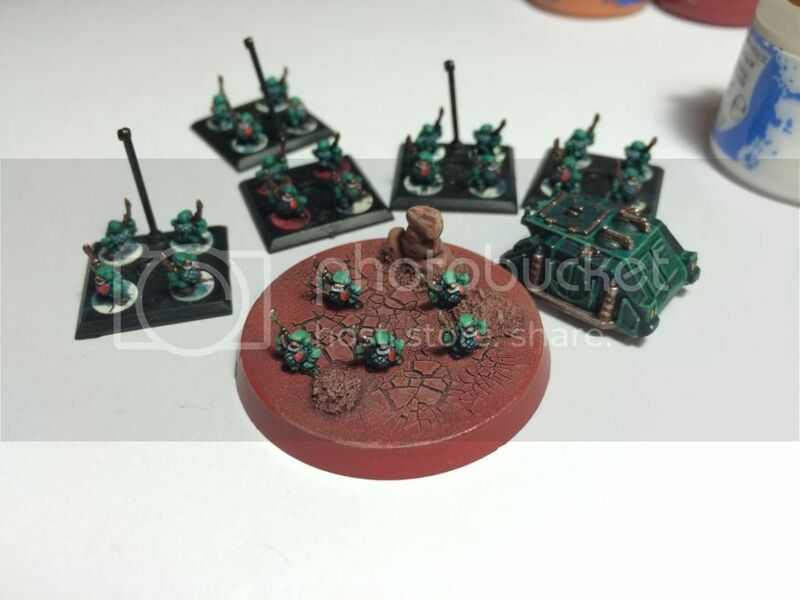 My traditionally painted (they are Squats, they like tradition) Squats comically all on overwatch against Necrons in the Skorcha tournament. Photo from ffloy who organised the tournament. Come on guys! We need to fill this thread up with more photos of painted armies! The Living Ancestor says, That is enough !!!!!!!!!! It's probably quite obvious to anyone looking but the Age of Tyrants line has some very appropriate 6mm super heavies that should work in a Squat proxy fashion. 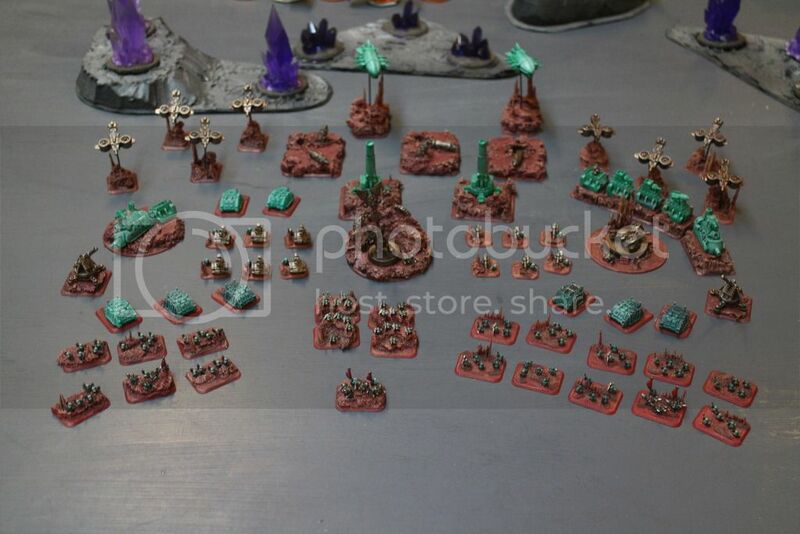 Mix in some Dystopian Wars models and you've got the makings of a very damn fine Squat collection, methinks. Legion 4, are they banners stolen from the Dwarf Man O' War fleets? Great work! Yes Sir, Some of them were ! Thanks U ! I've got some images on my phone but I can't seem to get this website to add the files to my post. Am I missing something? Oh, gotchya. Alright. I'll get that set up then. Thanks. Get a blog at blogger, very easy these days. You can add direct - I always do - both on the website and via Tapatalk. Via the website you kinda have to upload them ( in an uploader just below the post editor, plus they have to be quite small) and then click to add the code to your post.